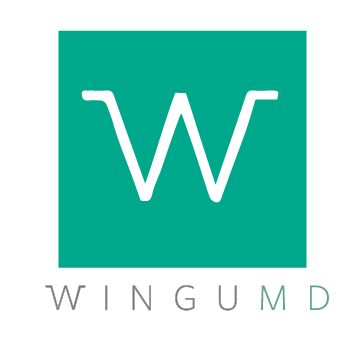 If you are a home nursing care provider professional, WinguMD BodyMapSnap’s patient centric visual collaboration features can make significant improvements in the efficiency and accuracy of your care-giving activities while providing medical grade security in all your communications. And you are just one download away to start trying our technology, free. 1. Gain Efficiency and Accuracy: You already use your iPhone to coordinate your daily life to run more efficiently with your family and friends. BodyMapSnap's patient centric approach, unlike other secure medical messaging apps, gives you the care contexts to speed up your work on your iPhones; instantly. 2 .. Mobile & Secure: Record images in patient homes anywhere and anytime, without the worry of HIPAA regulation concerns. Everything is secured from the moment you press the shutter button or type in a message. 3. Record Everything: Do not limit the picture taking to patient conditions. For example, instead of jotting down all the medications the patient is taking you can just take the photos of the bottles and bags. Capture insurance card images and consent forms too. BodyMapSnap can recognize those into text so you can always search for them later. 4. Geo Location: BodyMapSnap can keep track of where you took the images. Then use your iPhone's map and driving directions for revisits and to locate staff closest to the patient. 5. Instantly Chat with Your Team: You can message and instantly alert everyone in your care coordination team to review cases and ask for assistance from your medical staff. 6. Includes Free and Simple Visit Management System: Don't have an Electronic Medical Record (EMR) or Scheduling System? We have a free and simple schedule management system built into BodyMapSnap. You can also search by patient name, medical record numbers and reasons for visits. We can of course integrate with most of your system today or as you grow your own practice. BodyMapSnap has the free-forever trial tier where you can take as many days as needed to try it. We never delete your photos, and your “view-only” collaborators can use it free any time. Download it from the Apple iTunes Store (from your iPhone) and start gaining the efficiency and security today.